The person with her hands on her hips was Jean Brydon. 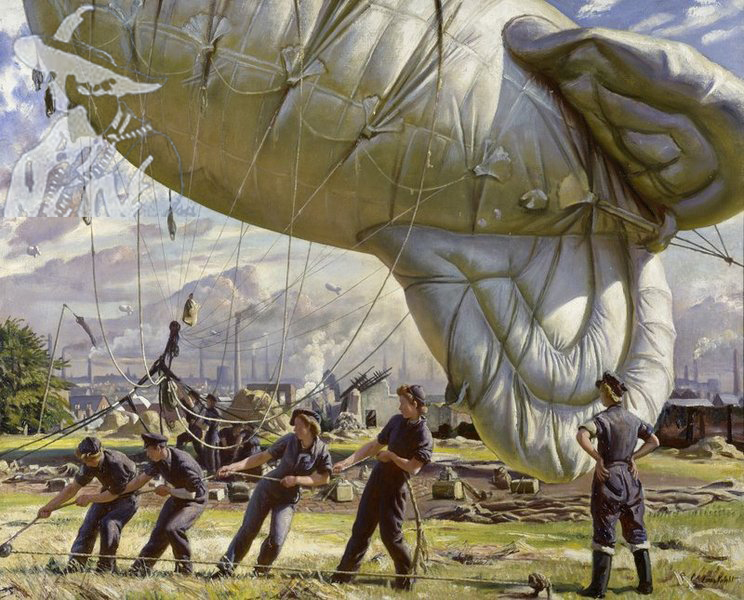 Depicts a barrage balloon being hoisted into the air by a team of women with a background of chimneys in Coventry. In the middle ground damaged buildings may be seen. The work was commissioned by the War Office as propaganda to recruit in their words – ‘the right sort of woman for Balloon Command’. The artist achieved this by making their work appear both a heroic and also a glamorous occupation.